In this tutorial you will learn to sync Outlook tasks with Google Tasks. Download and install the trial Gogtasks. First it will download itself from internet, then it will ask you to reboot your computer, then start and finish installation. Click the Start button and launch outlook from the search window. Gogtasks will announce you its presence and hint to where you can find it in the menu. Follow the indications to open its Settings. 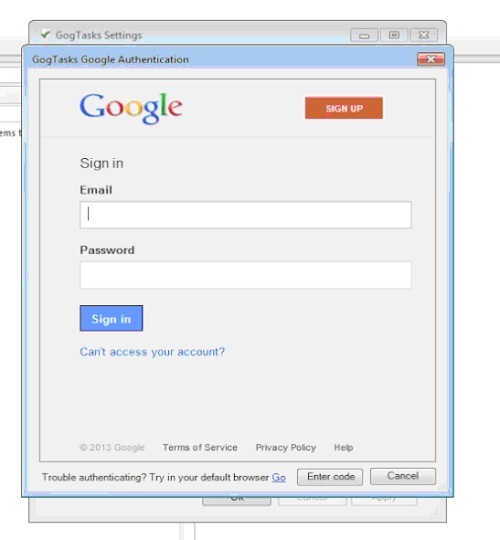 Add your gmail account to Gogtasks. 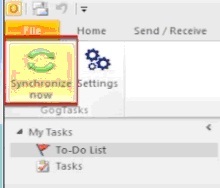 Click Synchronize in the Add-in. 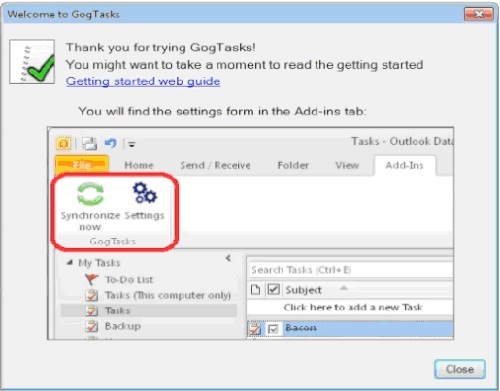 Gogtasks presents you with a list of tasks to be synced in Outlook. Choose the ones that you want, and finish sync. Result: Congratulations, you have learned how to synchronize outlook tasks with google tasks.